Across the United States, organizations and citizens are coming together over the next 50 days to ask foreign policy leaders in Washington, D.C., to take concrete actions that will improve the lives of girls and women worldwide. ChildFund is joining with a coalition, which includes the International Women’s Health Coalition, Half the Sky, Girls Not Brides and many others, to champion the rights of women and girls – a key focus area of former Secretary of State Hilary Clinton during the past four years. Afinencia, age 12, of Mozambique. In ChildFund’s program areas across Africa, Asia and the Americas, we are making progress on many of these issues and improving the lives of women and children. In Kenya and Guinea, for example, we are working to make parents aware of the importance of education for girls, and we are succeeding in placing more young women in the classroom. In Mozambique, we are helping mothers obtain birth certificates for children who lack them – a key document for attending school, gaining employment and participating in elections. We are also launching efforts in Senegal, Dominica, Liberia and Indonesia to combat gender violence by assessing its prevalence and trends, researching root causes and supporting community mechanisms to both prevent violence and protect victims from further harm. During the next 10 weeks, ChildFund will be participating in social media campaigns around each of the eight focal areas. During this time, Twitter and Facebook users are encouraged to post and share messages to help raise awareness (official hashtags are #usa4women and #usa4girls) and advocate for specific policy actions by the U.S. government that will help women and girls to be healthy, empowered, educated, and safe—no matter where they live. Afghanistan is one of the toughest places in the world to be a woman. On International Women’s Day, we talk with ChildFund’s country director, Palwasha Hassan, about the plight of women in her war-torn country and how ChildFund is helping. Palwasha, what is the status of women in Afghanistan today? There are many challenges to face as a woman. Every 30 minutes, an Afghan woman dies during childbirth. Life expectancy is only 45 years. Only 18 percent of girls age 15 to 24 can read and write. One in three Afghan women experience physical, psychological or sexual violence. And many women are forced into marriage. Although there are encouraging signs of improvement such as women’s participation in activities outside the home and the number of girls enrolled in school, there’s still a long way to go. Discrimination, lack of education, domestic violence and poverty are a fact of life for many Afghan women. What are the challenges in women’s education and getting girls to go to school? Only 40 percent of girls attend primary school, and only 15 percent go on to attend secondary school. 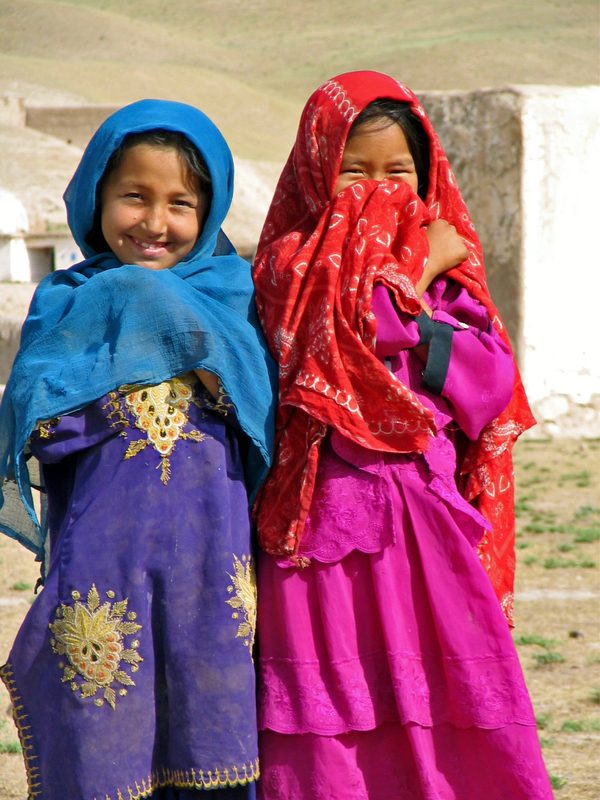 Traditionally, there is little awareness in Afghanistan on the importance of girls’ education. Many poor families cannot support their daughters’ education; girls are expected to stay home and help with housework rather than attend school. Schools are also often far away. Security is also an issue. It’s not safe for parents to send their children to school. Education, however, helps women claim their rights, and it is also the single most powerful way to lift people out of poverty. ChildFund recently surveyed children in Afghanistan, and girls tell us they want to learn; they want more and better schools for all children. Skills training is one component of ChildFund's work in Afghanistan. Photo: Leslie Knott. Over the years, with support from UNICEF and the U.S. Department of State, ChildFund has trained teachers, provided educational materials to schools, run literacy classes, opened community libraries to promote reading and supported social mobilization efforts encouraging children to go to school. Particular focus has been on girls. What is the situation regarding women’s rights in Afghanistan? Although legislation has been passed, in reality, the implementation of women’s rights remains patchy. Many women in Afghanistan face physical, sexual and psychological abuse, forced marriage, trafficking, domestic violence and the denial of basic services, including education and health care. With support from UN Women and the U.S. Department of State, ChildFund has trained parents, community leaders and government staff to recognize gender-based violence and promote women’s rights, as well as strengthen referral mechanisms so that women can seek help. Can you tell us how else ChildFund is helping women in Afghanistan? We educate mothers on the importance of their children’s education, health, hygiene and nutrition. We train parents, community leaders and government staff to recognize child-protection issues. We have provided livelihood training and support to women for income-generating enterprises, including carpet weaving and tailoring so that they can support their families. We also provide reintegration support to internally displaced and refugee families, including the construction of shelter and wells. All told, our programs provide thousands of women and their families with the support they need to take greater control of their lives. Looking ahead, what are ChildFund’s priorities in Afghanistan? ChildFund’s priorities and expertise in Afghanistan lie in early childhood development, raising literacy rates and improving child protection. In addition, we are focusing on youth vocational and leadership skills development, gender-based violence and reintegration support to internally displaced people and refugee families. As an Afghan woman, is there anything else you want to tell ChildFund supporters about your country and the women there? ChildFund has worked in Afghanistan since 2001, assisting more than half a million children and family members. We operate in more than 150 communities within Badakshan, Baghlan, Kunduz, Nangarhar and Takhar. Yet, the needs of the Afghan people are still great. For sustainable development to happen in Afghanistan, there needs to be a long-term global vision for the country. Then, conditions will improve for women – and everyone. Upholding the respect and value of the individual is a guiding principle for ChildFund International as we go about our work in 31 countries. Respect for human rights and human dignity “is the foundation of freedom, justice and peace in the world,” the General Assembly affirmed in its 1948 Universal Declaration of Human Rights. As the United Nations and other organizations and individuals around the world mark the Dec. 10 anniversary of Human Rights Day, I wanted to share an update from ChildFund Afghanistan. We are making progress with regard to child protection, elimination of gender-based violence and education, especially for girls. ChildFund has worked in Afghanistan since 2001, initiating an emergency response just days after the ceasefire that followed the first U.S.-led military action. During the past eight years, ChildFund Afghanistan has established services in 151 communities in the four provinces of Takhar, Kunduz, Badkhshan and Baghlan, reaching 277,000 children and family members. ChildFund Afghanistan’s program to eliminate gender-based violence was developed at the request of communities and government officials. The program works with both men and women in 60 communities within the Kunduz, Baghlan and Takhar provinces. Young girls in Afghanistan are receiving educational opportunities. By promoting awareness and response to early and forced marriage, domestic violence and sexual violence, circumstances for these individuals and their communities will improve. The program includes public awareness campaigns and also benefits 900 individuals by providing vocational training and income-support activities for women. A police force and judicial system that addresses the violence also is improving conditions. And there is now a health system with improved capacity to help those who have been abused. ChildFund plans to expand the program through outreach to schools, including teacher training and additional work with students on gender awareness. ChildFund Afghanistan has constructed or rehabilitated 34 government schools and a teacher-training institute, as well as established and supplied 70 community libraries. We have provided nonformal educational services to more than 66,800 youth, including 32,000 girls. An additional 3,000 youth have participated in vocational training programs. For the programs to succeed, the community and government officials need to value them. That’s why ChildFund Afghanistan works closely with the community and government officials to ensure community acceptance and use of the facilities and to underscore the importance of both girls and boys attending and profiting from educational opportunities. Through efforts large and small, ChildFund Afghanistan is making a difference in human rights.